This is my other old brother Matthew, he is 16 this year and is only 18 months older than me. 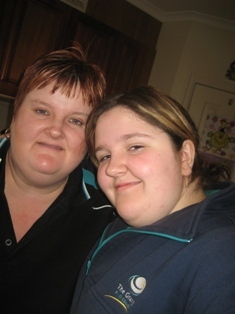 This is me and mum, as you can see my mum dyes her hair alot! This is my aunt Helen and my granny. Aunty Helen is my mums older sister and my granny is my mum's mum. This is a picture of my cat megs, who is about 8 years old, and my rabbit stickers who died two years ago. This is my dad, Keith who I happen to still call Daddy, and my older sister Ashley and we dont get along very well at all. She is 20 this year and my dad is 45. These are my grandparents from my dad's side, my grandma is Margret and my grandpa is Philp. This is my sister and her BFF Charlote, they have been best friends forever. 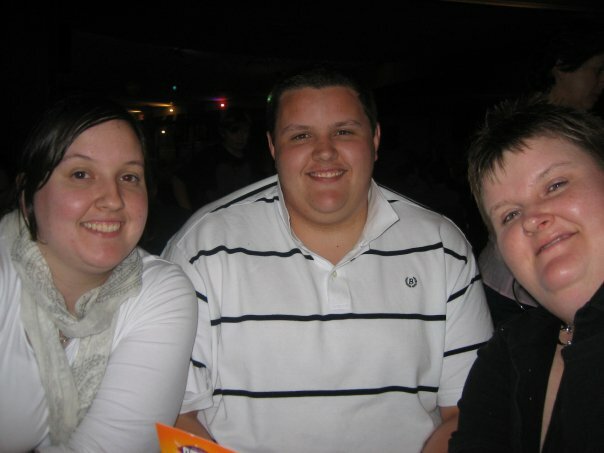 (Left to right) Ashley, Michael and mum. This is my older brother Michael, he is younger than Ashley but you could never really tell since he is so bloody tall. He is 18 this year and is such a bossy bum. This is my mum, Leanne, who i also call mummy and my sister again. My mum is 44 this year. This is my aunt and uncle from my mums side, my uncle nick is my mums older brother and my aunt is Jill. My uncle Nick's name is Jeff but with have another uncle Jeff so we call him Uncle Nick instead. This people our some of our friends from chruch, Dawn and Dave are the best and the best thing about Dawn is she is american and has the acent. My pet dog Cisco who died about 4 years ago. He was around 7.